Seventy years ago, more than 6000 Allied ships carried more than a million soldiers across the English Channel to a 50-mile-wide strip of the Normandy coast in German-occupied France. It was the greatest sea-borne assault in human history. The code names given to the beaches where the ships landed the soldiers have become immortal: Gold, Juno, Sword, Utah, and especially Omaha, the scene of almost unimaginable human tragedy. D-Day is well documented, but the whole story is not. From early conception to the final landings, this book highlights and details the complex and politically tense process of getting approval to fine detailing each aspect of the eventual landings. From men to equipment this book looks at the planning for ships, landing craft, weapons, and special equipment including coastal harbours and the infamous swimming tanks. It reflects on personal accounts of the men involved and provides a vivid image of what it what like during the dark days of the Invasion of Europe 1944. Well written and narrated. In 1941 Hitler's armies blocked the last roads leading into Leningrad. What followed was one of the most horrific sieges in history. When the German High Command encircled Leningrad it was a deliberate policy to eradicate the city's civilian population by starving them to death. As winter set in and food supplies dwindled, starvation and panic set in. Well performed audio. 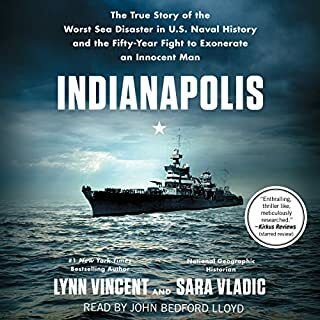 Story not strong but from a social and civilian point of view this audio deals with the peoples plight more than the military situation. 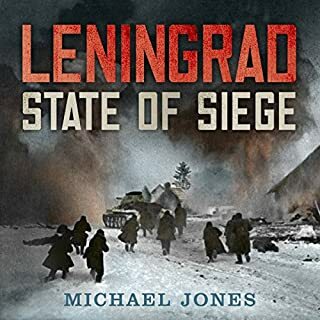 It is very descriptive and informative and points out the shadow of censorship that distorted history from the Soviet side. Between 1846 and 1873, California's Indian population plunged from perhaps 150,000 to 30,000. Benjamin Madley is the first historian to uncover the full extent of the slaughter, the involvement of state and federal officials, the taxpayer dollars that supported the violence, indigenous resistance, who did the killing, and why the killings ended. 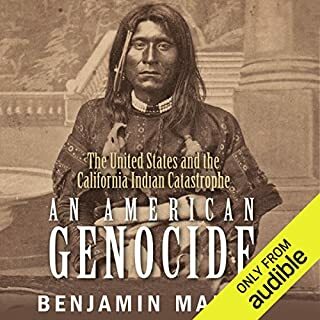 This deeply researched book is a comprehensive and chilling history of an American genocide. Totally absorbing audible presentation. An must listen to production. Enlightening and harrowing in nature, the demise of Indian culture in California is brought to the listeners ears. You will be shocked or indeed appalled about the story; but it is something non should shy away from. Highly Recommended. 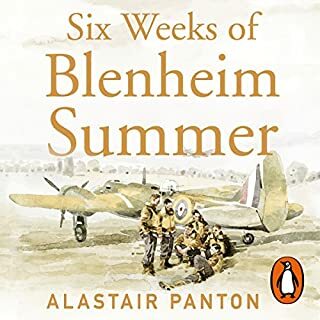 Penguin presents the audiobook edition of Six Weeks of Blenheim Summer by Alastair Panton, read by Jonathan Keeble. As I write, I can clearly recall the stinging heat of a burning Blenheim, smells, tastes, expressions, sounds of voices and, most of all, fear gripping deep in me. Flying Officer Alastair Panton was just 23 when his squadron deployed across the Channel in the defence of France. They were desperate days. Pushed back to the beaches as the German blitzkrieg rolled through the Low Countries and into France, by June 4th 1940 the evacuation of the Allies from Dunkirk was complete. A little over two weeks later France surrendered. Well delivered and thoroughly engaging. The fact that Blenheim pilots were victims of their obsolete aircraft you can only applaud their sacrifice, courage and mettle against all odds. This biography of sorts of Alastair Panton father is superbly documented with facts, antidotes and whimsical tomes, but above all it portrays the six weeks of May-June 1940 when the Germans advanced through France despite the efforts of gallant French and British Airmen to stem the tide. The book focuses of the Reconnaissance Blenheim force, which though heavily outperformed by the Luftwaffe fighters, struggled to but successfully achieved the vital situational information required daily by the ground forces. The tells of the aircrew and groundcrew interactions; and the interactions of the local French people who above all did help when needed. I recommend this book; it is six hours of enlightenment added with entertainment. 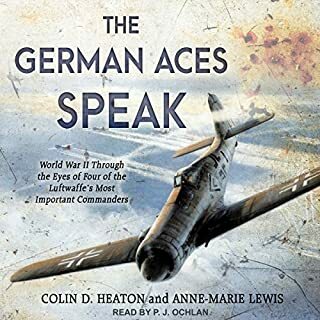 SUPERB AUDIO BOOK IF YOU ARE AN AVIATION BUFF. FOUR GERMAN PILOT STORIES TOLD IN DETAIL ABOUT THEIR EXPERIENCES DURING THE SECOND WORLD WAR. OPERATIONAL DETAILS AND ENCOUNTERS WITH THE LEADERS OF THE REICH ARE ENLIGHTENING IN THE WAY THAT IT DEMONSTRATED THE INCOMPETENCY OF THOSE THAT LED THE GALLANT, BRAVE AND SKILLED AIRMEN BETWEEN 1938 AND 1945. I THOUGHT I KNEW A LOT BUT THIS AUDIO BOOK RAISED MY KNOWLEDGE EVEN FURTHER. 6 STARS. Not quit as interesting as I had hoped. It is December 1878, and war looms on the horizon in South Africa. British high commissioner Sir Henry Bartle-Frere seeks to dismantle the powerful neighboring kingdom of the Zulus and uses an incursion along the disputed border as his justification for war. He issues an impossible ultimatum to the Zulu king, Cetshwayo, demanding he disband his armies and pay massive reparations. With a heavy heart, the king prepares his nation for war against their former allies. Thoroughly engaging audio book, which compelled me to buy the follow on book 2. 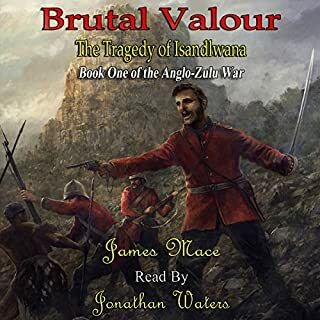 The battle at Isandlwana is well known and well documented; however, this book treats the subject with an air of personal empathy and deals with the two sides equally well both prior to, during and after the battle. Overall the book is well presented and the story clearly compelling; its one shortfall may well be the performance, which I found a tiny bit overly theatrical at times (but I can only compliment Jonathan Waters on his reading). The personal stories blended well with the objective of the book; and brought to light a couple of items that in the film "Zulu Dawn" that were not dealt with; and indeed highlighted some of the errors that are contained within that same film production. This book helps put the record straight from the point of view of the film production. The language is crude but appropriate in places; and this is what gives the book that personal reflective tone rather than reading (or listening) to a non-fiction historical book. Worth a listen; and not excessively long, so you will not get unduly tired of it. Words are simply not enough to express the quality and performance of this publication in audio form. 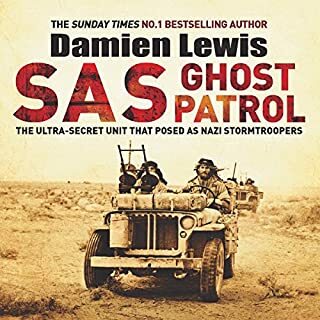 Well written, very well performed it portrays actual events with exceptional clarity and prose to enable to listener (reader) to be part of the special operations that took place in 1942. 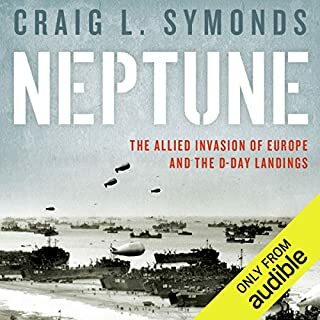 Must have in any war history audible library. 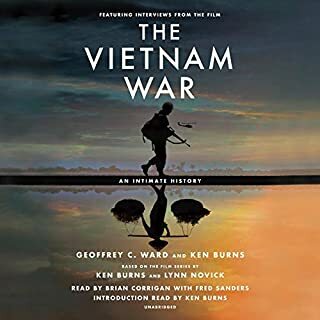 fantastic insight into the Vietnam War from begins to final collapse with both sides of the story told in great detail with personal stories of participants and those who were there but necessarily involved in the conflict. 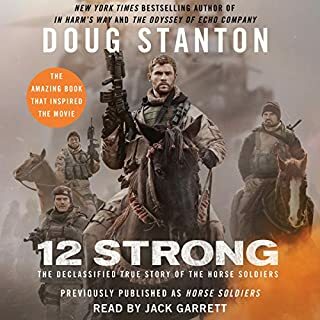 The audio book is in my opinion better than the film documentary which also watched - the book deals with more detail; however, I would recommend that both versions be considered as you can see visually what much of the audio content is describing. Factual, unbiased, and certainly the most accurate account I have yet to come across on the War; and explains where mistakes were made on both the French, American and Vietnamese sides; and how the peace movement influenced the final outcome; and the book ultimately explains the tragedy that befell the South on the communist take-over with its unimaginable human and economic cost. Five stars = must listen to.